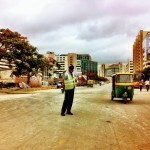 I had the privilege of visiting Bangalore for two weeks. 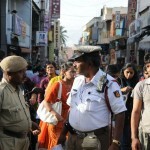 When I wasn’t working with my colleagues at their office in Manyata Park, had the opportunity to explore the city and make a day trip to Mysore. 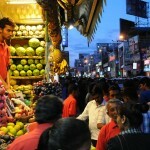 Bangalore is indeed an amazing place; a combination of high-tech and old world. 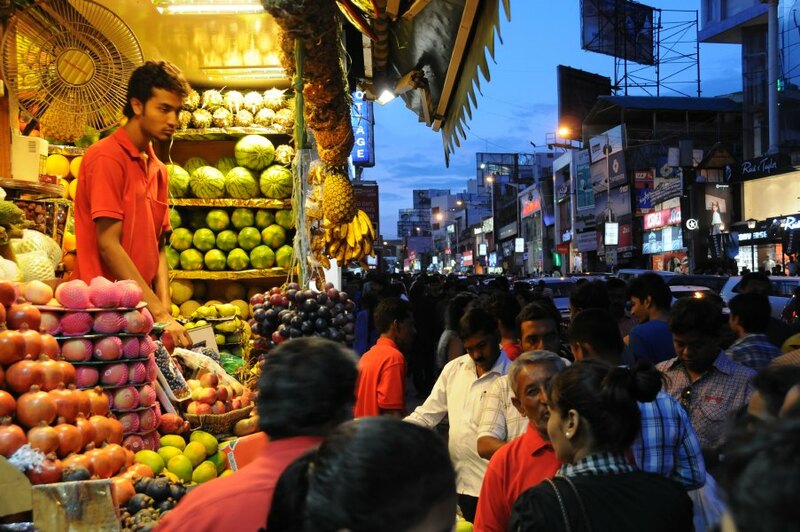 It is the third largest city in India and the fastest growing city in Asia, increasing in population from just over 1 million people in 1970 to nearly 8 million today. 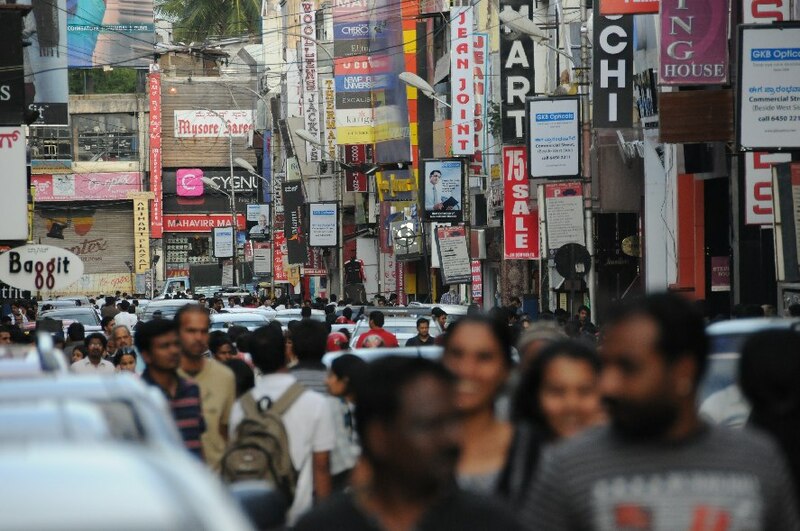 One of the most incredible things about Bangalore is the population density. 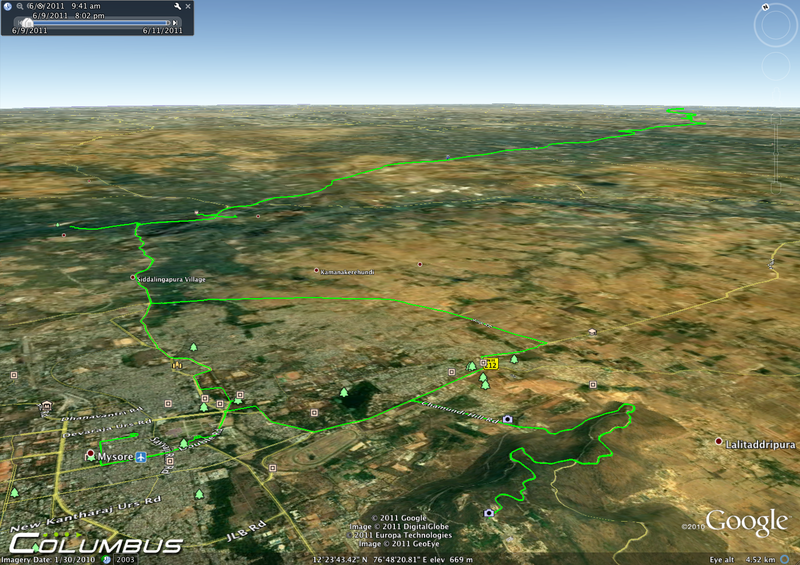 Bangalore has ~8k people per square kilometer, or about 4 times that of New York City. 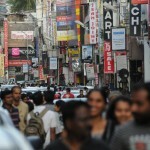 Mumbai weighs in at over 20k/km^2, roughly ten times more people per area than in the most dense American cities. Density exceeds even Hong Kong by a factor of 3. 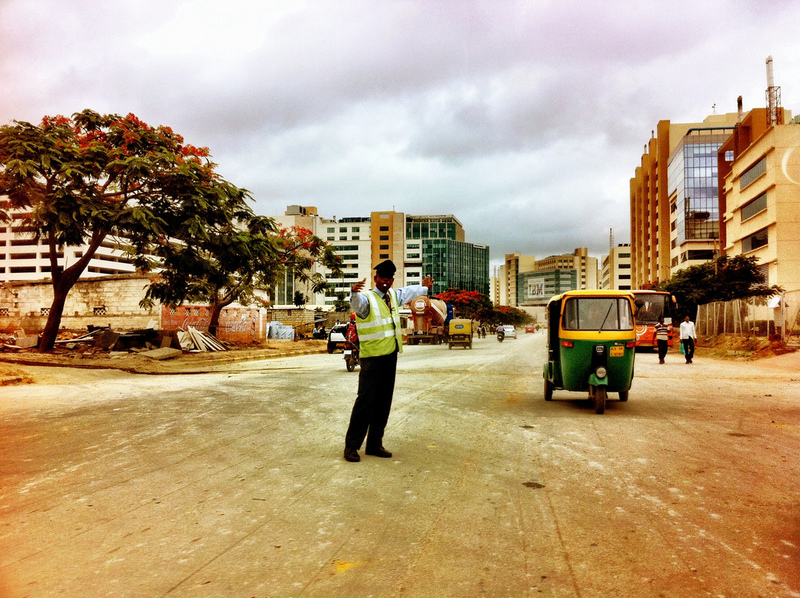 Formerly known as the “Garden City”, a few signs of Bangalore’s greener past still remain. 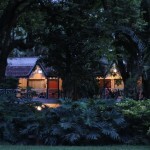 One is Lal Bagh, a 240 acre garden near the city center which has hundreds of species of plants and many massive ancient trees. 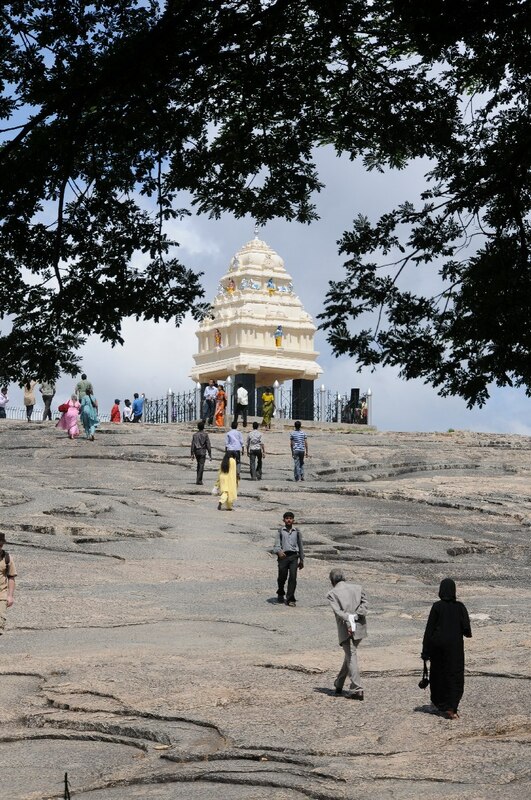 The park also features Kempegowda tower, built on the surface of Lal Bagh Rock, one of the oldest rock formations on earth, dating from 3 billion years ago. 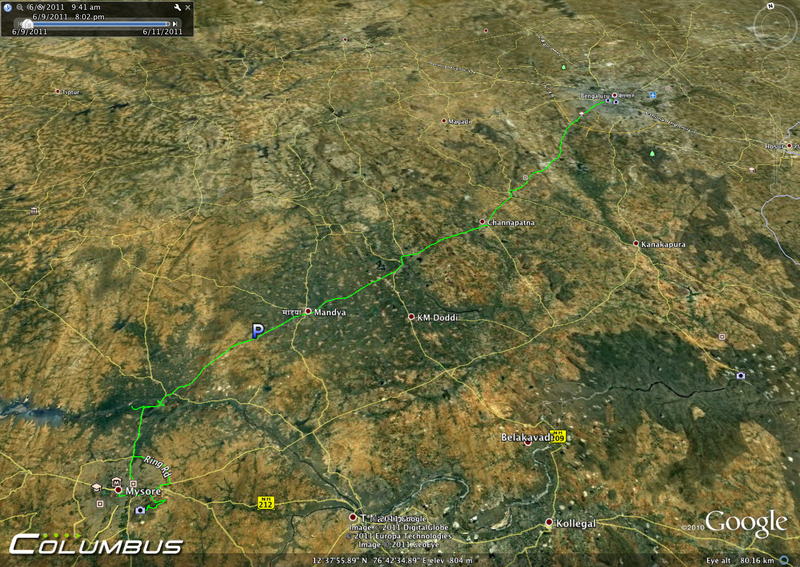 Approximately 150km outside of Bangalore is the city of Mysore. 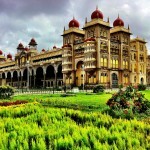 It served as the capital of the region through the reign of the Wodeyar dynasty and until 1947 when administrative power was shifted to Bangalore. 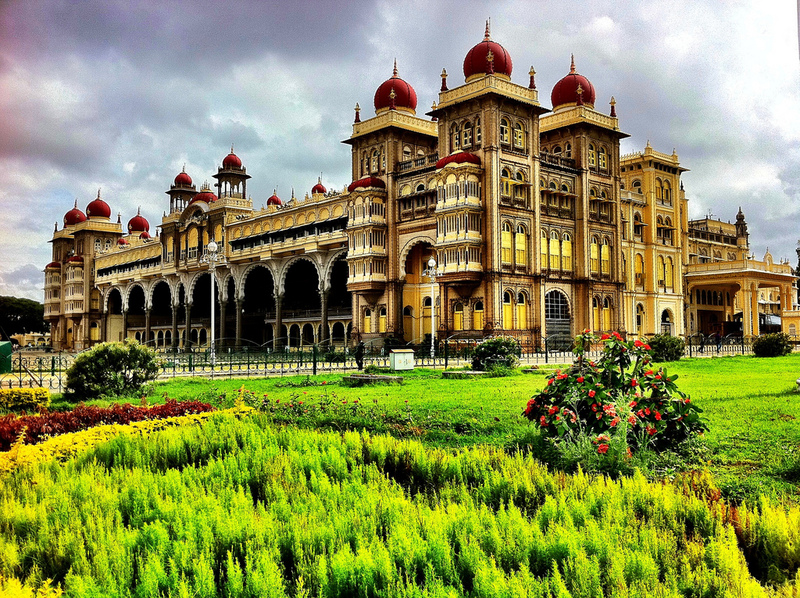 The Ambivalas Palace built by the ruling Wodeyars is one of the most popular tourist attractions in India. “The architectural style of the palace is commonly described as Indo-Saracenic, and blends together Hindu, Muslim, Rajput, and Gothic styles of architecture. It is a three-storied stone structure, with marble domes and a 145 ft five-storied tower.” The palace contains a wooden ‘howda’ (elephant sadle) decorated with 84kg(!) of gold. 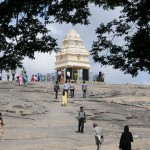 The palace also contains many images of Durga (aka Chamundeshwari), the goddess, who according to Hindu mythology, killed the demon Mahishasura, allowing good to triumph over evil. 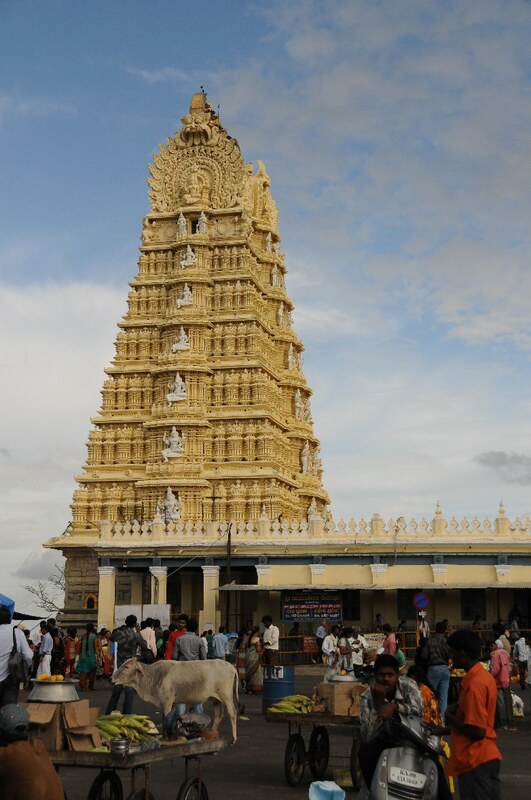 The Chamundi temple which sits atop nearby hills on the outskirts of the city was built in honor of the goddess. 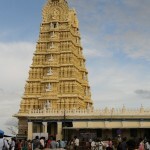 The road to Mysore from Bangalore passes through the towns of Channaputna, known for its wooden crafts and toys, Maddur and Mandya. 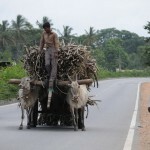 It also cuts across numerous sugar cane fields from which “jaggery” is extracted. 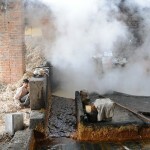 Jaggery is made by boiling raw sugarcane juice in large shallow vessels. 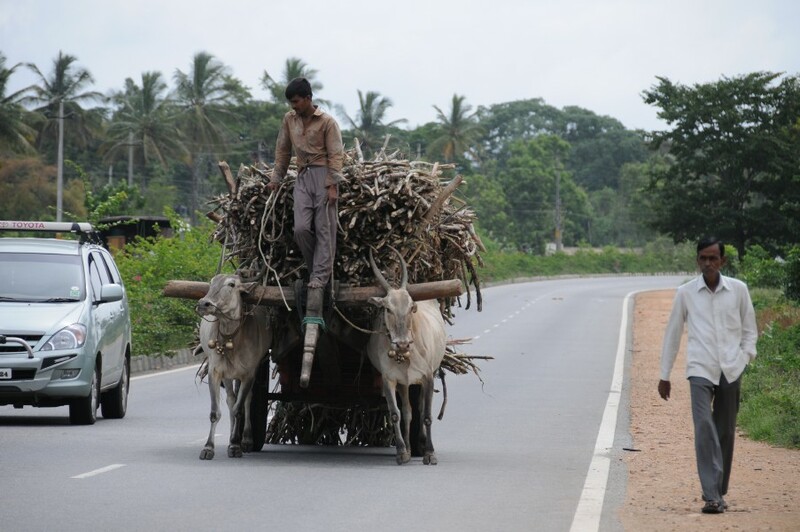 Jaggery is used in a variety of sweet dishes in India; it can also be added to curries. 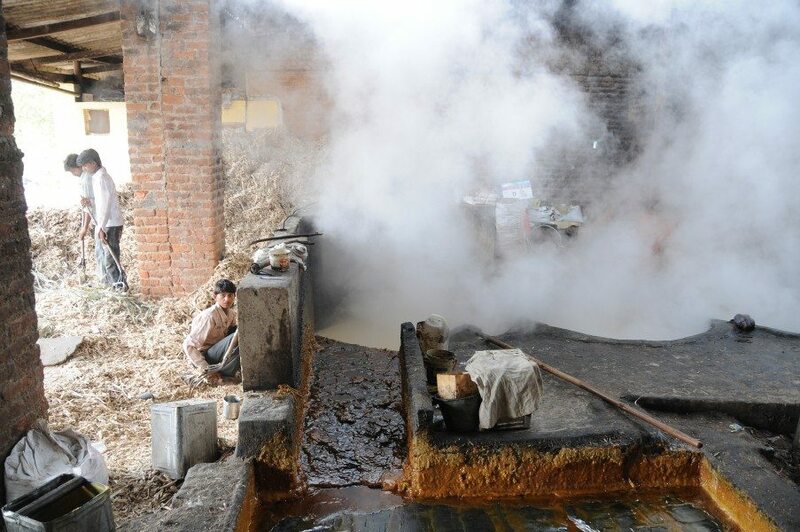 Jaggery is considered to be healthier than other sweeteners because it is prepared without the use of chemicals and it contains minerals not found in sugar. It has also been found to prevent lung damage from “particulate matter such as coal and silica dust”.. potentially quite useful when spending any time riding an auto-rickshaw on the streets of central Bangalore. 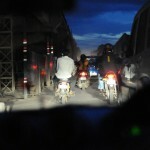 Speaking of, one of my colleagues treated me to a ride on the back of his motorbike through Bangalore’s notorious traffic where it isn’t uncommon to see three cars side-by-side, jockeying for two lanes along side bull carts, pedestrians, autorickshaws and the occasional wayward cow or stray dog. If you are watching the video thinking “well, that isn’t nearly as cool as the Evel-Knievel vid I just watched yesterday”… Please! The driver was going easy on me. Thankfully, as I was holding the iphone in one hand, clutching an umbrella and the edge of the seat in the other, all the while trying not to lose my Nikon and the lense collection dangling from my shoulder. For some reason, I thought I’d be able to shoot some stills and video. Maybe not. 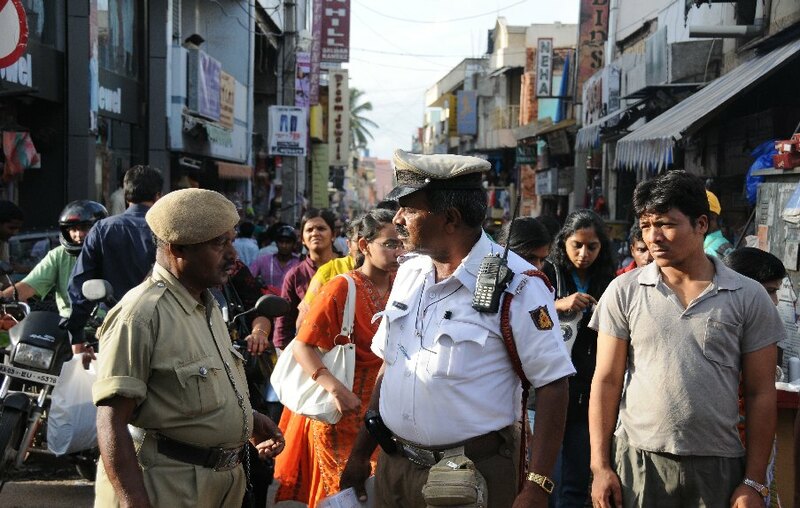 One of the mysteries of Bangalore is why they need so many traffic cops (literally dozens of them at some intersections) to enforce so few traffic laws. Driving is absolute and total chaos. Out of the chaos, though, some semblance of order seems to emerge from the honking, flashing lights and arm waving. I’m not talking about the occasional honk or flash. 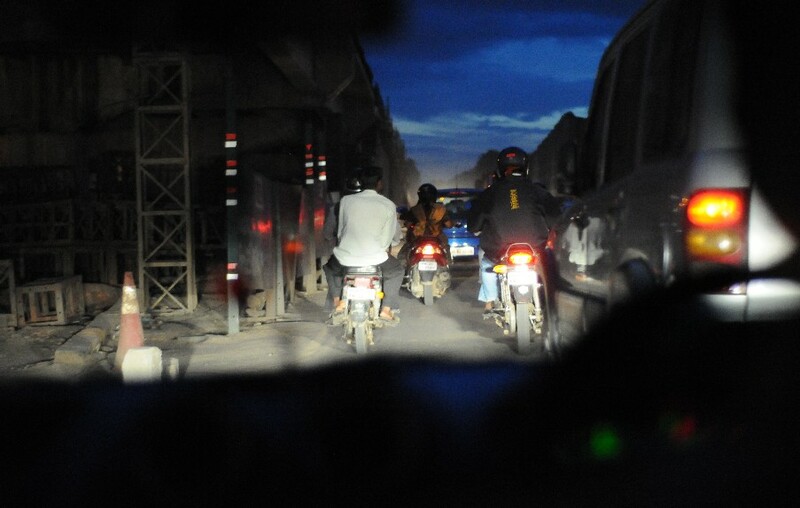 I’m talking about continuous honking and sometimes frantic dimming of the lights. I initially thought it might be morse code. Meanwhile, everyone seems to maintain perfect composure. When I say hand gestures, I’m talking about waves of the arm to allow or warn of a merge. I’m sure there’s a lesson in there somewhere, if not for Boston drivers, perhaps for a research paper on chaos theory or self-organizing systems.